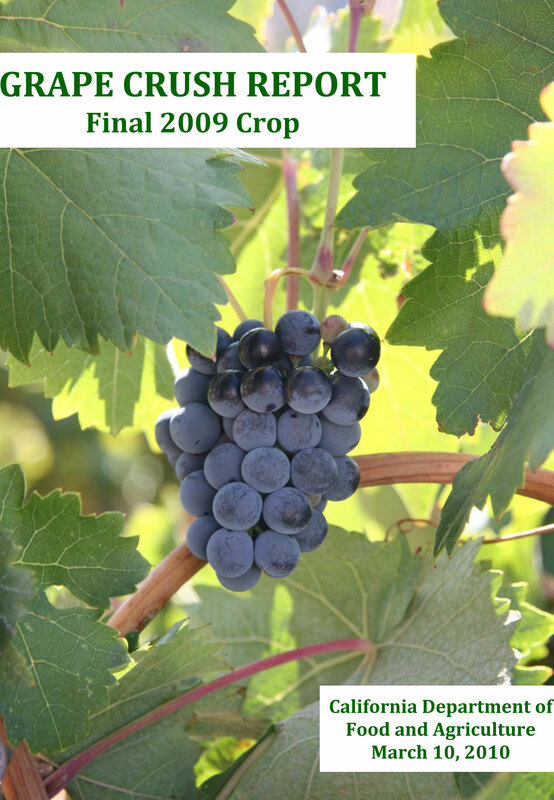 The USDA released the 2009 Final Grape Crush Report today at 12 p.m. PST – All 141 pages of it. Regardless of what word you would use to describe it, the USDA has released this report since 1976. And while the act of compiling data and disseminating it may not have been quite as earth shattering as the “other” infamous, wine related, event that occurred that year – it has served as a solid benchmarking tool for 30+ years and continues to be the document that buyers and sellers refer to when going to the mats with one another. Enjoy!